Find yourself. Improve your relationships. 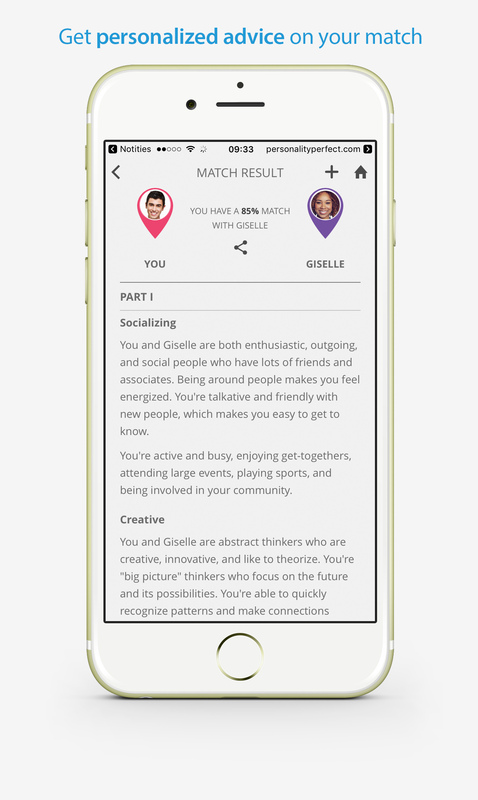 Take a free personality test, match your results with your partner or friends and discover easy ways to boost your most precious relationships! 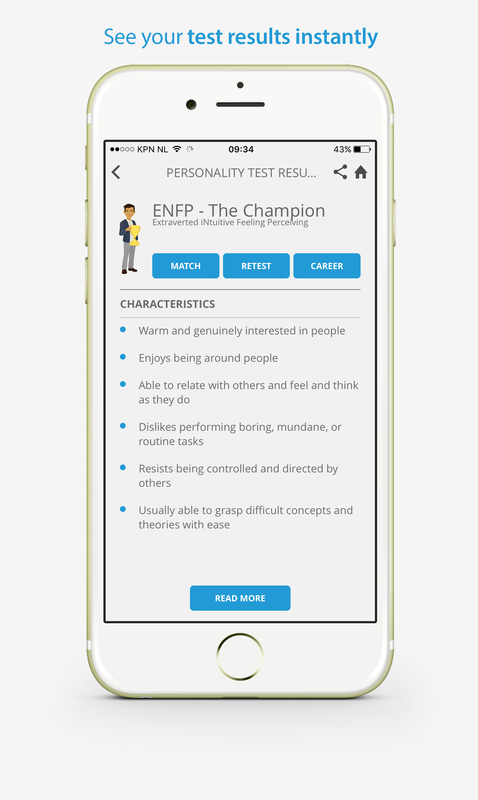 Discover your personality type in just 30 questions. 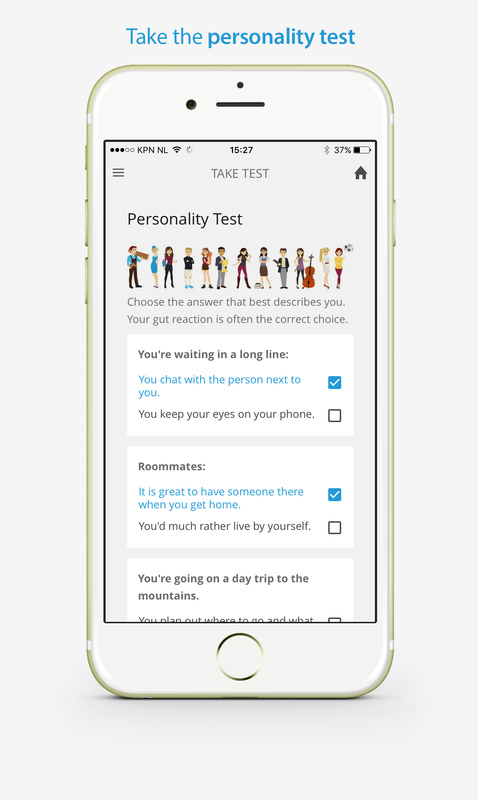 Compare your personality type with that of your partner or friends! 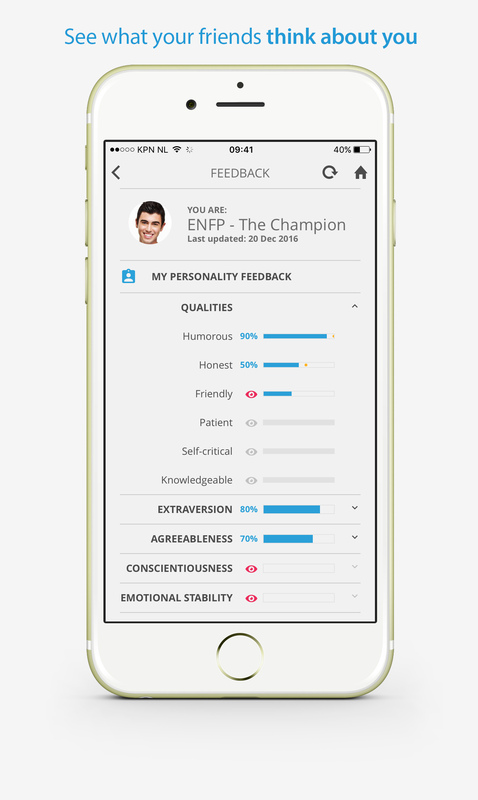 Learn your friend’s personality strengths and weaknesses. 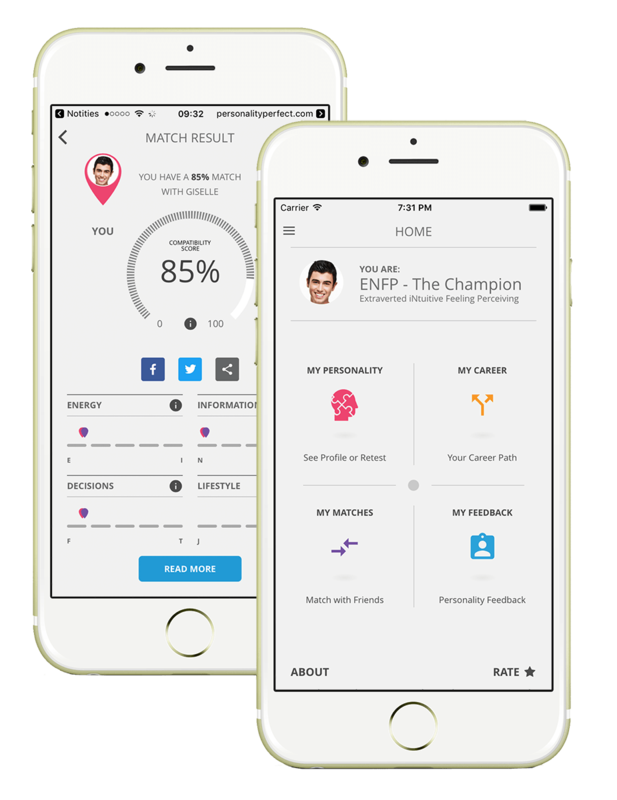 The powerful algorithm compares your results and produces a score from 0% to 100%. Get to understand the motivations and desires of your partner and friends better. 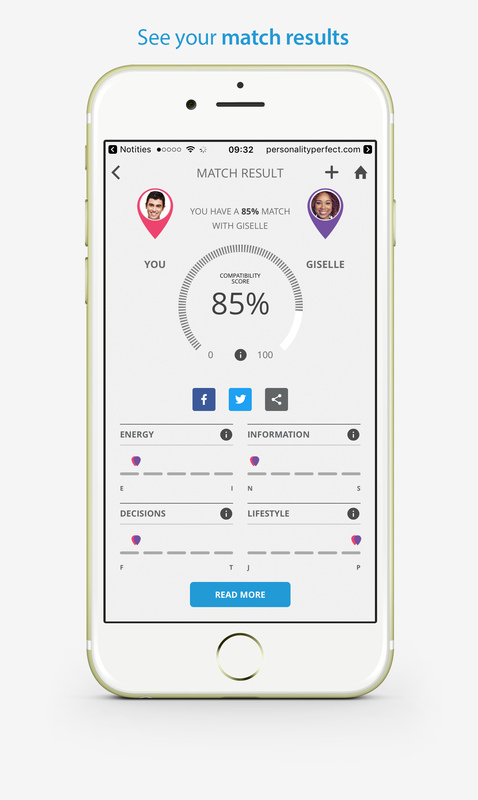 See how you complement each other and how to get around your biggest roadblocks. 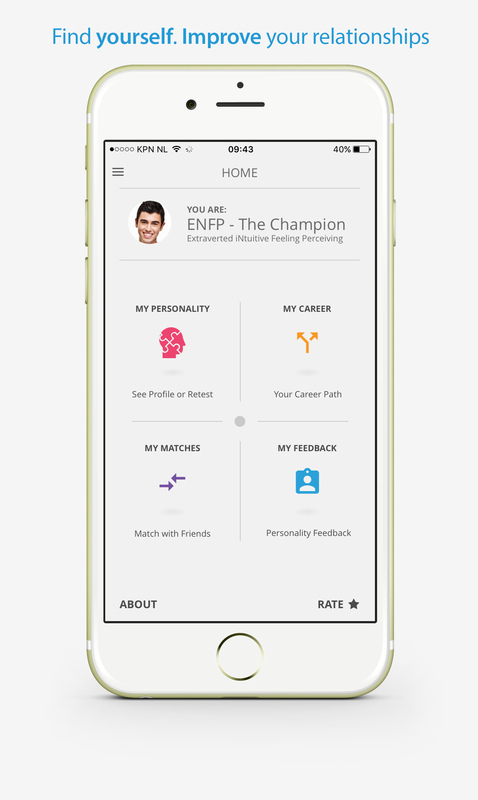 Besides being FREE see what else sets PersonalityMatch apart. 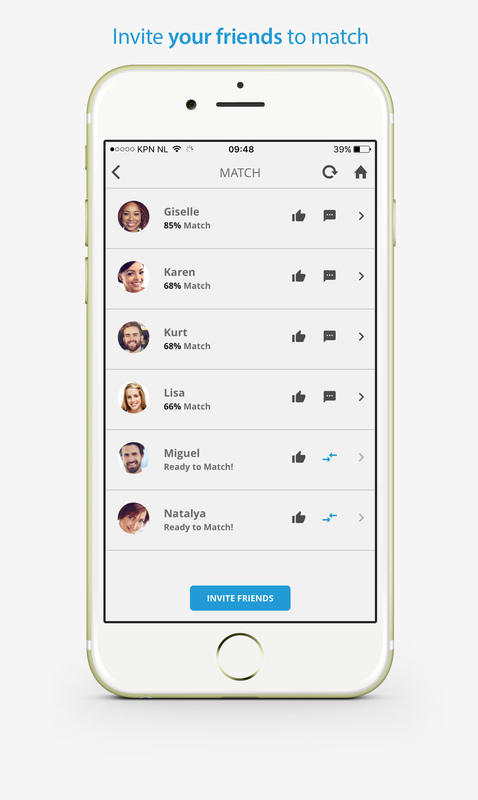 Take a free personality test, invite friends, match your testresults and see your compatibility score! Press release June 20, 2016. Copyright © 2019 PersonalityPerfect.com. All Rights Reserved.